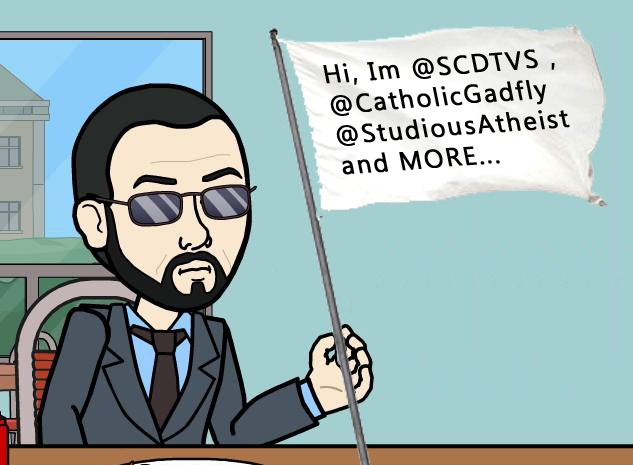 Recently The infamous Sacerdotus / @SCDTVS, supposedly fooled the lot of us. His mouthpiece account @CatholicGadfly (well evidenced and witnessed to be Sac as documented here) had sent an email via an AOL account to @Ellif_DWulfe who extracted Gadfly’s IP address. The IP resolved to The Bronx, NY (and other locales in NY depending on which tool you use to check it) while Gadfly has insisted he is in Arizona time and again. At first Gadfly denied that the IP was valid and then stated that emails from his phone often shows IPs from all over the country.. somehow. Once realizing how stupid his cover story was he decided to reveal that his Idol @SCDTVS has tricked/ fooled us in some mysterious and undisclosed way. The great Sac has (somehow) fed us atheists an IP which shows as various locations in the Bronx and Manhattan and is therefore false. Its not a bad or tricky IP, but rather the online tools resolve them differently (most in the Bronx), while all still in the same area. Of course this would mean that Sac PURPOSELY fed us an IP which placed Gadfly right where Sac’s own IPs had been originating for quite some time, the Bronx, NY. So he PURPOSELY made sure we had an IP that would verify, YES VERIFY what everyone has concluded and evidenced over time; that Gadfly is in fact run by @SCDTVS. So “Sac fooled you all” is actually saying “Sac has intentionally made it LOOK like he has been lying to everyone all this time, but the joke is on you all because he (stupidly) just wanted you to think that.” Yes, the infamous liar has been pwned by his own stupid… again. Whether he claims he worked some tech magic or prayed to create a funny IP from afar… or that he went to the Bronx (from Boston) and emailed Ellif with Gaddy’s email account, (to explain the IP’s origin)… Gaddy is saying that SAC stupidly and intentionally validated all current evidence regarding his ongoing, long term deceptions… to fool us. Of course the far simpler reason for Gaddy’s IP being in the Bronx is that he IS Sacerdotus / @scdtvs, as all the evidence and the witnesses reveal and know. Sac pwned himself good. If that wasn’t stupid enough, Sac’s @studiousAtheist twitter & blog (which sac denies is his) goes out of its way to ALSO claim that Sac has fooled everyone. If that’s not holding up an “I’m Sac too” flag, I don’t know what is. UPDATE (hours later): Gadfly in an attempt to show he can appear to be in the UK via an IP address in an email had emailed Ellif again. Ellif quickly discerned his IP change was due to using a server host company (here), which was not how the original Bronx email was presented via email. It seems MORE LIES is the fix for failed lies in Sac’s book.